AlphaPenguin @baron3 Hi that doesn't sound right. We are sorry to hear that the bumper came off to fast. 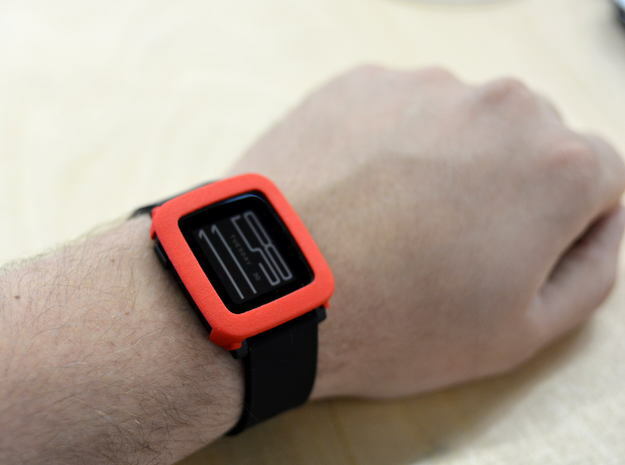 The design is indeed very thin so that the design of the pebble watch stays the same. If you use this bumper with some more heavy work it might indeed come off, some more intrusive bumpers might be a better choice (maybe also a different material). This bumper is focused on normal usage and easy removability without having to remove the straps. This will give your pebble a new look everytime you change the cover and will protect against scratches. And that all with a super slim profile so that the watch remains it good looks.